Situated only 1km from Jomtien Beach and the vast choice of international and Thai restaurants that run down the entirety of Jomtien Beach Road, you already have everything you need within close proximity of Baan Phailin. The convenient location just got more convenient with the added feature of a free car, which will allow you to explore the surrounding areas with ease. Under a ten-minute drive, you can visit famous Pattaya tourist attractions such as Pattaya Floating Market, Pattaya Underwater World and Alangkarn Theater. In a five-minute drive, you can also be at supermarkets and shopping centers such as Tesco Lotus and Big C.
Take the car out for as drive, and within 15-minute, you can be at the world famous Pattaya Walking Street and Pattaya Beach Road. The location of Baan Phailin merges relaxed living and a convenient location close to all of Pattaya's main attractions. Baan Phailin Villa was completely renovated in 2009 and offers some of the most modern accommodations available, and – best of all for a holiday in the tropics – your own private swimming pool. Located in a quiet and gated area, Baan Phailin can offer you ultimate privacy and serenity that you won't find in a hotel environment. There is plenty of opportunity to relax and unwind together as a family in the luxurious comfort of Baan Phailin. The large gardens offer a safe and fun area for children to play and parents to relax. Indoors you will find a spacious and airy open floor plan featuring four double bedrooms, five baths, entertainment facilities and a fully equipped kitchen. Off-road parking is available and 24-hour estate security is on hand to ensure your holiday is hassle free. 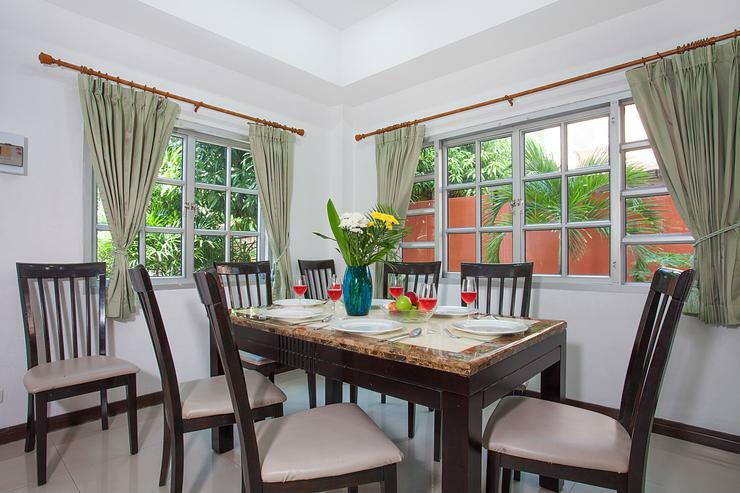 Located just 1km from Jomtien Beach, Baan Phailin is the perfect location for a family getaway. 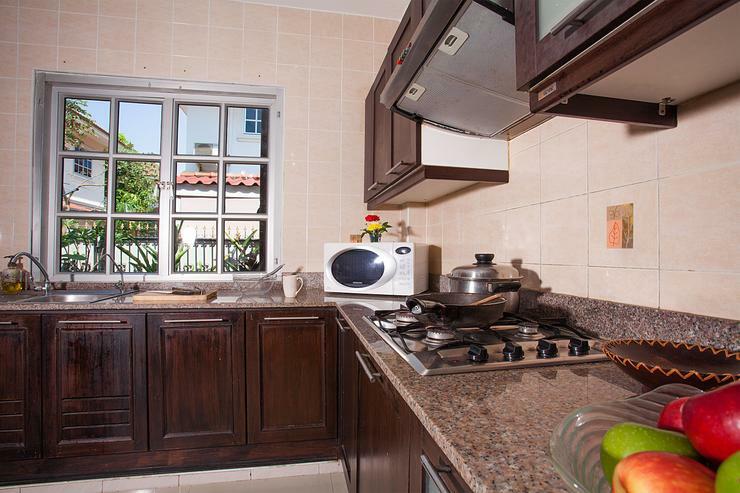 The private and quiet environment might fool you into forgetting that there are many convenient and entertaining tourist attractions within close proximity. A new Thai restaurant featuring both Thai and European cuisine is close-by and serves up delectable dishes from 8:30 am until late. The location is perfect for families, groups or singles alike looking to escape for an unforgettable Pattaya holiday. Special note: This page was about Baan Phailin - Jomtien Beach, Pattaya. All of our websites involve Holiday rentals in Asia. So please browse our holiday villa websites for more great deals and special offers.